SOKOTO/(News Investigators) /Sokoto state governor, Aminu Tambuwal has nominated Manir Dan’iya as deputy governor to replace Ahmed Aliyu. Mr. Dan’iya replaced Mr. Aliyu who resigned on Nov. 13 following his decision to remain in the All Progressive Congress (APC). It would be recalled that the Sokoto state governor defected from APC to the opposition Peoples Democratic Party (PDP) to pursue his presidential aspiration. 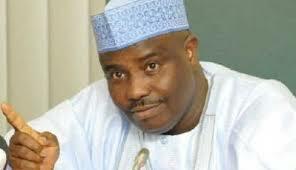 Mr. Tambuwal, however, lost the party nomination to former Vice President Atiku Abubakar. In a letter to the State House of Assembly presented at plenary on Wednesday by the Speaker, Salihu Maidaji, the governor sought the confirmation of Mr. Dan’iya as new deputy governor. “Following the vacancy created in the office of the Deputy Governor of Sokoto state by voluntary resignation of Ahmed Aliyu. “I wish to nominate Alhaji Manir Dan’iya as Deputy Governor in accordance with the provisions of section 191 (3) (c) of the Constitution of the Federal Republic of Nigeria, for approval of the House of Assembly,” he said. The lawmakers unanimously agreed to screen the nominee on Nov. 22, during plenary. Aliyu, who is the All Progressives Congress (APC) governorship candidate for the 2019 poll in the state, resigned his position to enable him concentrate on his campaign.